Paula Medler, DVM, DMQ. 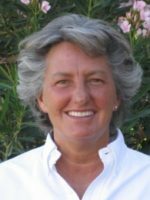 Practicing veterinary medicine for over 30 years, Dr. Medler specializes in holistic veterinary medicine and dentistry. She treats dogs and cats with Acupuncture, Chinese herbs, Spinal Manipulation and Medical QiGong. Her other vet services include stem cell and ozone therapies as well as conventional Western veterinary medicine which include surgery, dentistry with dental radiography, lab work, vaccines and vaccine titers. She also provides hospice care for pets. Dr. Medler graduated from the University of Missouri, College of Veterinary Medicine in 1980. She practiced exclusively Western Veterinary Medicine from 1980 to 1991. In 1991, she was first introduced to the art and science of Acupuncture. 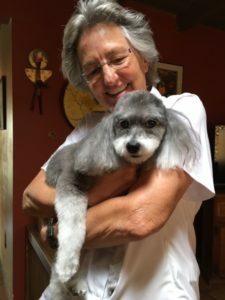 She knew then that there was so much more to learn, and that there were other treatments available for animals that weren’t utilized in her then exclusively Western Veterinary practice. She started her quest to learn more about integrative modalities and continues to do so. That quest has included multiple trips to China and certifications in: Acupuncture from the International Veterinary Acupuncture Society (IVAS), Chinese Herbal Therapy both from IVAS and the New Mexico Chinese Herbal Course, Animal Chiropractic from the American Veterinary Chiropractic Association (AVCA), Animal Tui-Na from the Chi Institute, Applied Kinesiology from Dr. Carl DeStefano, and Doctor of Medical Qigong from the International Institute of Medical Qigong (IIMQ). Dr. Medler owned and operated Companion Animal Clinic, a full-service AAHA accredited (American Animal Hospital Association) veterinary hospital in Tucson from 1984 to 2006. In 2006 she sold Companion Animal Clinic to concentrate wholly on her integrative medicine skills. Her dream is to bring Integrative Veterinary Medicine to those who previously have not had those modalities available. She believes that all animals should have the benefit of this type of medicine. Certified in animal rehabilitation and experienced in pet hospice care, she can help you and your pet through all stages of life. You can get help for your dog, cat or other animal either by calling us at 520-975-7281 or visiting us at the Animal Healing and Wellness Clinic. If you are seeking this type of medicine for any and all of your animal companions, we are here to help. Contact us now for an appointment.